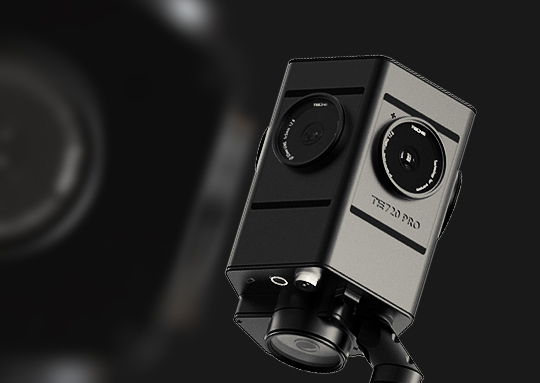 Teche TE720 Pro is an professional 360 camera with 7 lenses (including one for the nadir and one for the zenith) and a video resolution of 8K, and photo resolution of 15K, and is one of the very few 360 cameras that supports filters (52mm). It seems to be an updated version of an eponymous camera I wrote about back in 2016. The specifications and price point make it potentially attractive as a low-cost professional 360 camera. 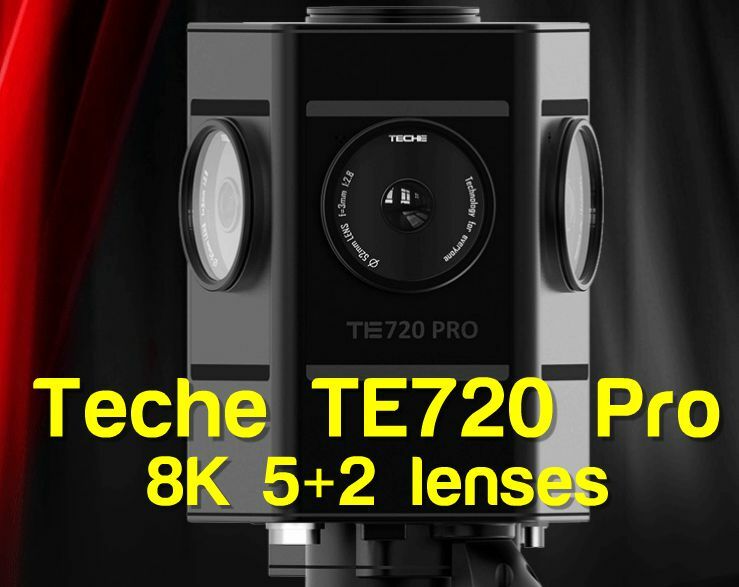 Teche TE720 Pro is a 2D 360 camera with five lenses horizontally in a pentagon arrangement, plus a lens for the zenith and another lens for the nadir. In terms of appearance, it somewhat resembles the FLIR Ladybug, which also has five lenses horizontally, and a separate lens for the zenith but no lens for the nadir. To accommodate its nadir lens, the TE720’s tripod connector is offset. The current price is $3,799 from Stabilizer Pro, $300 more than the Insta360 Pro, which can also capture 8K 360 or 6K 3D 360. The Teche TE720 Pro has no 3D 360 capability, but has a separate lens for the zenith and another for the nadir, which means we should expect higher image quality in the zenith and nadir, unlike the Insta360 Pro, which can have stitching issues in the zenith or nadir. – An especially attractive feature is that the TE720 can use filters, a very rare feature among all-in-one 360 cameras. In fact, the TE720 includes a UV filter for each lens for protection. In addition, you can use ND filters for long exposures in daylight. The official website for the manufacturer is here. Thank you to Michał Piętak for bringing this to my attention!